I began tonight by attempting to turn a taco into a casserole. Why? Because I was tired, lazy, busy, you fill in the blank and I didn't feel like being so hands on with dinner. What I ended up with was streamlining my traditional taco dinner (already a quick meal, but oh so needy). On the side, I prepared Hoff's Guac, putting the pit back into the concoction & covering to slow down the browning/oxidation. No streamlining here. Lastly, I placed a whole Red Pepper in the oven set to broil for about 15-20 minutes until it was nicely charred. Normally, I would have sauteed pepper strips in a frying pan, but that requires my constant attention. To my surprise, the broiling method resulted in a sweeter taste & again no baby sitting! What did these minimal efforts yield me? About an hours worth of free time to get my tasks done that otherwise would have happened after dinner. And I am a happy camper! P.S. 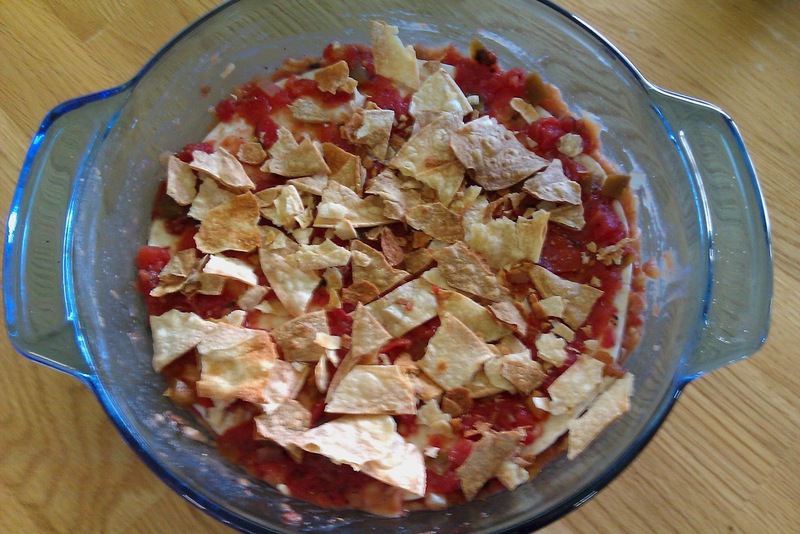 You'll notice in the picture that I topped my creation with crushed Tortilla Chips (this was when I still thought I was making a casserole). Um yeah, that didn't turn out so good...they burned. So for those of you looking to try this, I would add during the last 10 minutes of cooking.